If you’re travelling on a broomstick – or by more conventional plane or boat – you will need to protect your passport and tickets! 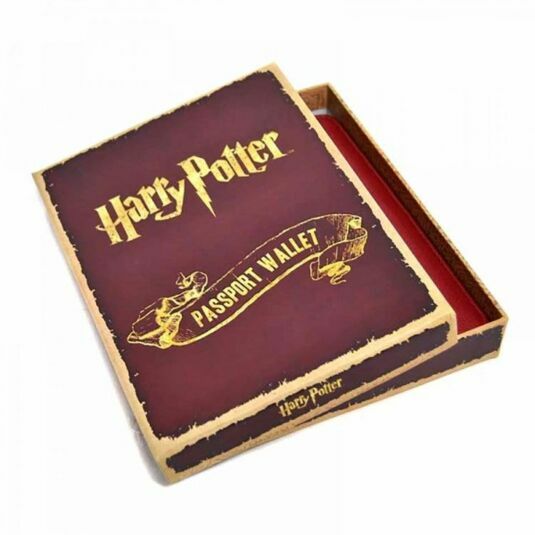 This beautifully made faux leather passport wallet is perfect for ensuring your precious travel documents won’t be lost or stolen, after all, Voldemort has spies everywhere! 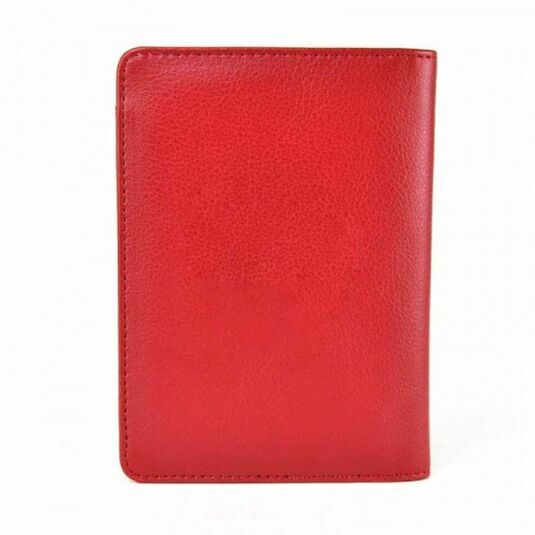 The passport wallet is made from claret red faux leather with a realistic grain. On the front is the Platform 9¾ emblem, signifying the secret entrance at Kings Cross, starting point for all budding witches and wizards. 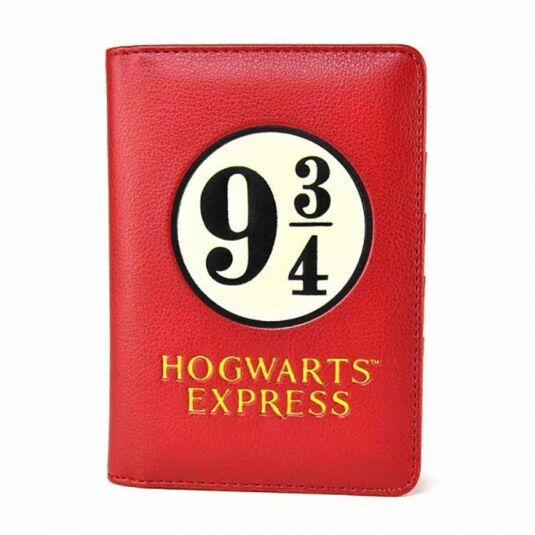 The platform emblem is embossed into the wallet front together with the phrase: HOGWARTS EXPRESS in yellow capital letters. 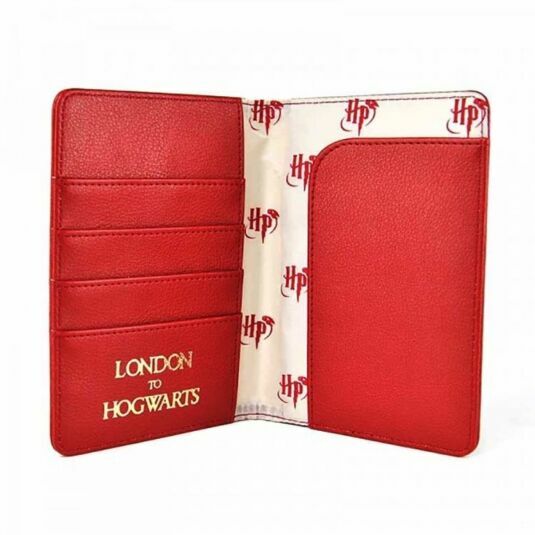 Inside, the wallet has a compartment for the passport, and on the left, four spaces for cards; the front one printed with the phrase: LONDON TO HOGWARTS in gold lettering. Behind this, a further section is provided for papers, spells and other secret documents. The interior is lined with silky fabric in cream, with the Harry Potter logo in red as a pattern. Presented in a Harry Potter themed gift box (design may vary), this wallet is the perfect gift for anyone who wishes to follow in Tom Riddle’s footsteps and perfect the forgotten art of flying! Box measurements: 12.5cm wide x 15.5cm deep x 2.5cm high.